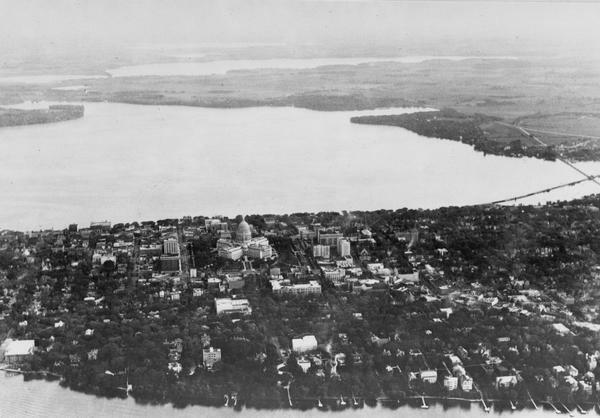 Aerial view of Madison looking southeast over the isthmus, showing the Four Lakes Country. Visible at the bottom is the Lake Mendota shoreline. At center, Lake Monona, just above, Lake Waubesa, and in the distance at the top, Lake Kegonsa.